A woman rushed into a veterinary hospital in Sydney, Australia, clutching a 4-week-old kitten. 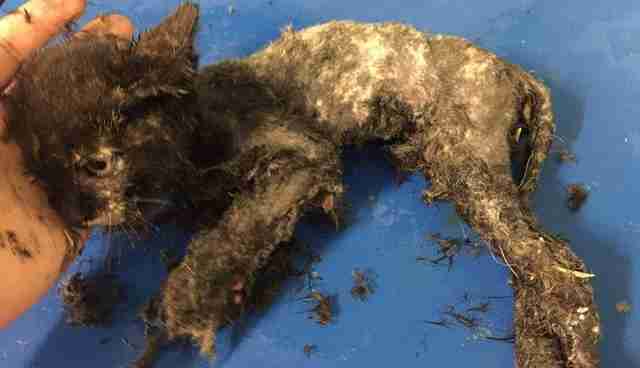 The baby had been found in a parking lot stuck to a glue trap - the kind used to catch rats and mice. 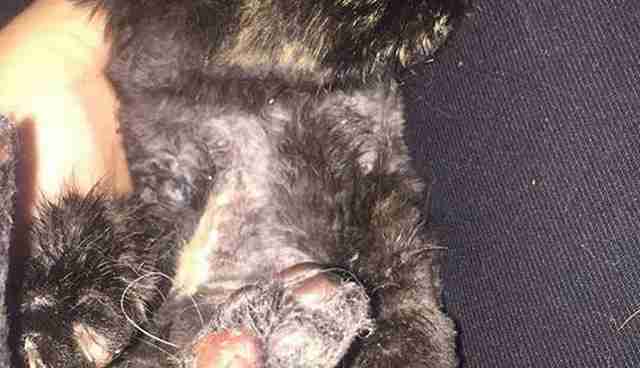 The kitten was a mess - glue matted every inch of her brown fur; her limbs stuck together. She was also severely dehydrated, starving and understandably stressed. 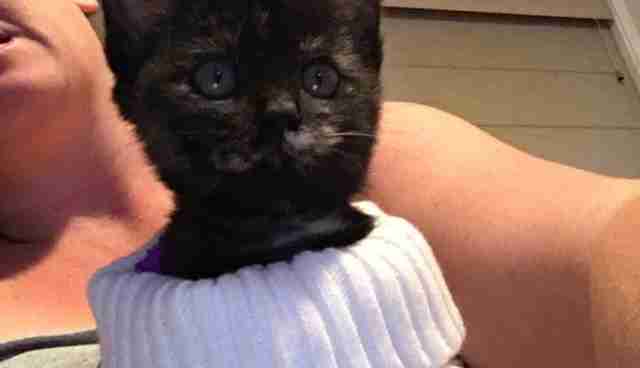 The clinic's veterinarian had just left on a house call, so vet nurse Tracey Lam took the kitten into her arms and tried to figure out what to do. "At first I tried to give her a bath, hoping that the glue would soften up," Lam tells The Dodo. "But that didn't work. I tried with Aloveen shampoo, Malaseb shampoo, and no luck at all. A bit came off of course but wasn't enough." Lam was also terrified of ripping the kitten's skin. She tried clipping the glue off, which worked better, but the poor kitten - whom she'd named Clover - did get a few cuts on her soft, fragile skin. After a week of careful clipping, washes with Malaseb shampoo, and dabs of methadone spirits, Clover was finally glue-free. In the process of removing the glue, Clover had lost most of her fur. Lam put Clover on antibiotics to help her fight off infection, and tried to encourage her to gain weight. "Day by day she got better," says Lam. "She ate a lot of food - especially wet food." Lam would have loved to have kept Clover, but she already had several dogs and cats, and her landlord wouldn't allow her to keep an another animal in her apartment. She approached CatRescue 901, a Sydney-based organization that rescues cats from dire situations. 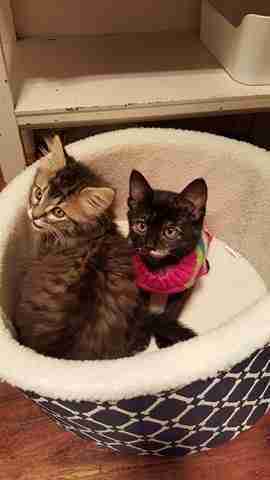 Jenny Storaker, one of CatRescue 901's founders, knew the biggest challenge in caring for Clover would be keeping her warm in the chilly Australian winter. 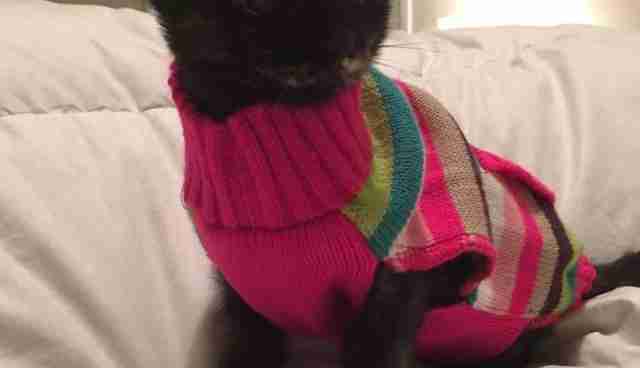 "Because her fur is still so short, she'd feel the cold," Storaker tells The Dodo. 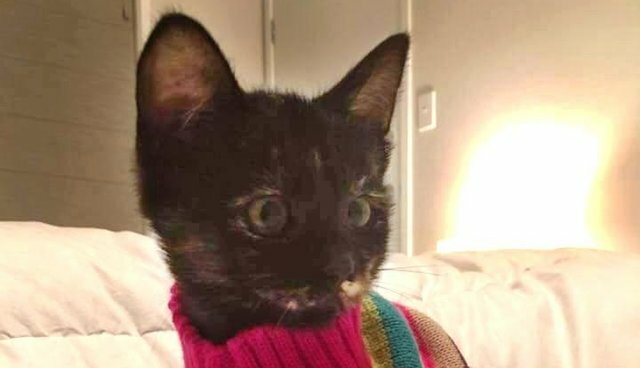 "We purchased the smallest cat coat to help keep her warm." Even the smallest coat was still humongous on Clover. Storaker had to use soft hair bands so the coat would stay on. Eventually they found a coat that was more Clover's size. 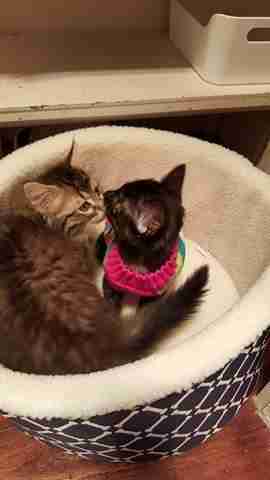 Besides modeling adorable coats, Clover's made a friend at her foster home - another rescued kitten named Fluffball. 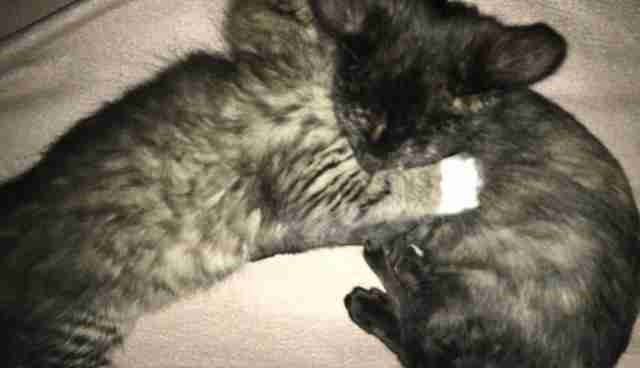 "Fluffball is around the same age, and he's the perfect companion for Clover," says Storaker. "He keeps Clover warm, and will also be a playmate and confidante for her. They adore each other and love roughhousing together." 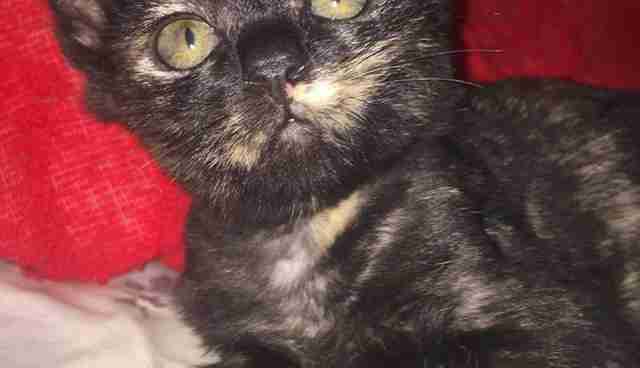 With the help of her friend Fluffball, Clover has been growing healthy and strong - and also regrowing her fur, revealing a beautiful tortoiseshell coat. "Clover's improved significantly health-wise and personality-wise," says Storaker. "She is becoming more confident every day. She's a little shy with strangers, but once she's comfortable with you, she loves playing, snuggling and being a crazy kitten." CatRescue 901 is an organization that tries to rescue the most disadvantaged cats, and it specializes in rescuing cats who have gone blind due to cat flu. 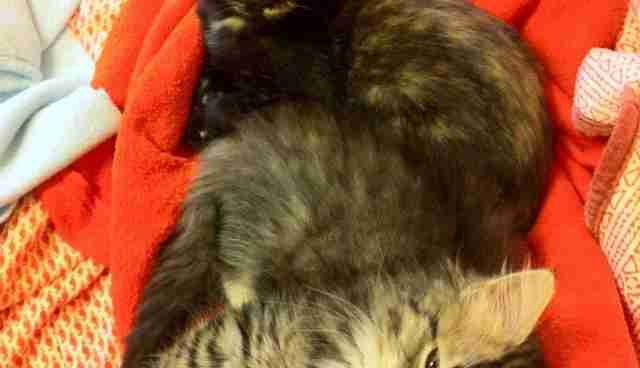 To help support CatRescue 901, you can donate here. Clover is also up for adoption in Sydney, Australia. If you'd like to be her forever family, contact CatRescue 901 here.